Arsenal News 3 March 2012 | "It's all about the Arsenal"
Good morning Gooners. Match day. Thankfully the Son’s football match kicks off at 10am in Ware, 15 mins up the road from Harlow. Then it’s back to house, bit of lunch and take seats for match. Earlier this week BBC 5 Live had a discussion on Arsenal playing side and financial side, pointed out to me by a couple of Gooners on a football forum. Link here. Good listen this one and dispels some of the urban myths that are being spread around. Taking part were Former Liverpool FC managing director Christian Purslow, Jeremy Wilson from the Telegraph, Nigel Phillips from AST, Martin Keown talk (and talk). Yesterday it was reported by the media about Arsene Wenger complaining about internationals and use of players in friendlies. TV5 being the case in point. Many may not agree, but Arsene Wenger talks a lot of sense and if people could just see beyond what they think is bias, they might see a bloke who talks a lot of sense on football matters that affect ALL teams. 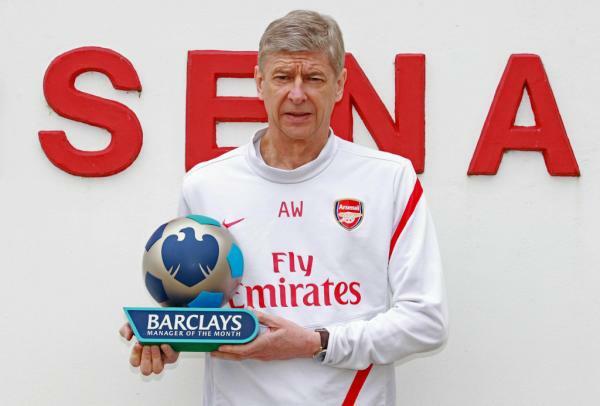 Also yesterday Arsene Wenger picked up the MOTM for February. Congratulations Prof. It was a complete shock to me. I couldn’t understand that at all. If you had read the newspapers in the last two weeks, you must say there is a mistake,” he explained, struggling not to laugh. “I thought they were speaking to somebody else behind me. With Arsenal’s cup catastrophes dominating last month, and cranking the pressure on Wenger up to dangerous levels, it almost went unnoticed that the team produced impressively in the Premier League. Unnoticed, well yes Amy, that’s down to many journalists who only look for sensational headlines. In January it was the complete opposite with the media, going on about poor league form (3 defeats), while winning two FA Cup ties v Leeds and Aston Villa. While Robin van Persie scores when he wants, Journo’s write what they want, now what they should.. Personally I feel they feed the supporters by “cranking the pressure” as Amy mentions. Oh Mr. Winter what shall we do, Sometimes just admit you got it wrong and stop digging that hole you’re in deeper. Give it a rest with Arsenal mate. Anyway back laters with the Man from Harlow’s report and views on the match v Liverpool.